What’s the Difference Between a Flat Edge Polish and Pencil Edge Polish? Flat Polished Edge vs. Pencil Polished Edge: What’s the Difference? The type of edge treatment you choose for your glass project has a direct effect on the look, style, and usability of your glass. Polished edges offer a refined glossy finish, but what’s the difference between different styles of polished edge treatments? In today’s blog, we dive into what sets a flat polished edge and a pencil polished edge apart, and we offer practical applications for each. A flat polish is a straight edge treatment that offers clean lines, a sleek appearance, and a glossy finish. Most flat polish edge treatments also feature a 45° chamfer at the top and bottom edge, which softens the sharpness and offers an added design appeal. To achieve this beveled look and feel, glass is run along a belt to remove glass chips and smooth edges. This results in a polished, finished look that’s often displayed on frameless mirrors, elegant table tops, decorative cabinets, and more. The appeal of a flat polished edge is largely due to its economical properties and showcase value. Because the glass edge is so simple and refined, it showcases the glass thickness beautifully. A pencil polish is a rounded edge treatment that’s typically found on glass protector tops. The term ‘pencil’ refers to the rounded glass finish of the edge radius, which is similar to the roundness of a pencil. This style of edge treatment is ideal for circular tables or furniture with rounded corners, as glass protector tops fit nicely on these. A pencil polish can often be found on mirrors, adding an aesthetic quality to the function and design. One important benefit of a pencil edge polish is its safety. Since the edges are rounded, it’s difficult to injure yourself on the polished edge. When compared to flat edge polishes, the pencil polished treatment is the best choice for glass that will be placed in high traffic areas. And it looks great as well! Flat polished edges and pencil polished edges are quite different, yet they both showcase your aesthetic style. 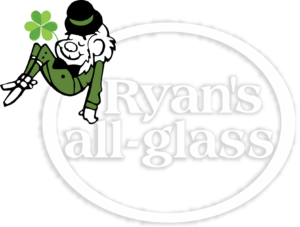 If you want sharp looking style for your glass tabletop or mirror, talk with the pros at Ryan’s all-glass for expert advice. From stunning frameless shower enclosures to intricate custom glass projects, there’s nothing our team can’t tackle. 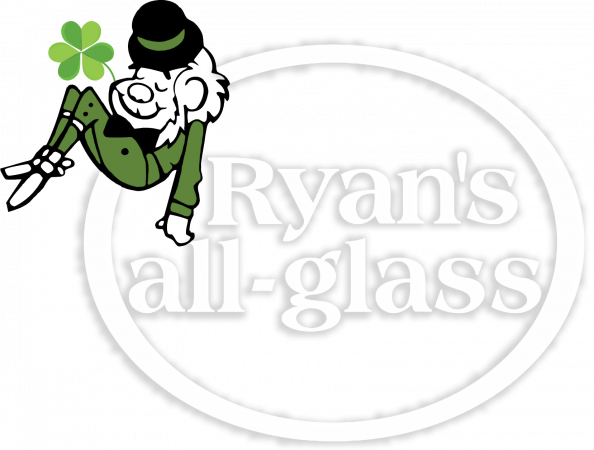 Call 513-771-4440 or browse our website for more glass inspirations. We look forward to hearing from you!